Muhammad Rehan Saeed shared his ASP.NET TagHelper for Subresource Integrity – this caught the attention of Scott and Damian, and they are interested in looking at this a little further. Hisham Abdullah Bin Ateya published an article discussing Pluralization in ASP.NET Core. Damian pointed out that pluralization is not currently supported directly in the framework and its nice to see the community working on some of these topics. We also want to point out ReactJS.NET – a framework for using React with ASP.NET written by some of the contributors to the React project. Damien published a great article that shows how to use Angular 2 with OpenID Connect Implicit Flow and Identity Server 4. 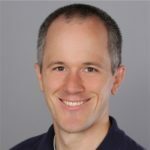 — Where should I file a bug for ASP.NET Core tooling? — Can we address a lack of love for ES6 tooling in Visual Studio? The project has been running since 2012 and has 34k downloads with a most recent release in Feb. 2016. There is great documentation about the APIs, examples, and how-to get started videos on their website. Damian reiterated that the team is committed to not declaring a delivery date until they are sure that they can make that date. There have been many meetings over the last few weeks to iron out the design of the remaining items. One item that Damian highlighted is the shared runtime that the .NET Core app can be programmed against, a mini-.NET runtime that could be shared and be redistributed as is currently done with dnx in the RC1. The benefit of this shared runtime is that the managed runtime is specific to the machine and the shared runtime can be deployed with the application in a smaller package to any machine that supports it. The team is ironing out how the .NET CLI will separate ths various concerns of this architecture. The teams have a hackathon planned for early next week to review and plow through integration issues in the frameworks with a goal of delivering an installer for the frameworks. Once that is accomplished, Damian feels confident he can set delivery dates for ASP.NET Core. Scott pointed out that this is the balance that .NET and Java provide that separates them from NodeJS where the base framework is very small and everything comes from an npm package. The base NodeJS project has many dependencies and packages that are installed prior to writing a line of code. Damian emphasized that its important to get the structure of the framework and application model correct in .NET Core and ASP.NET Core 1.0 so that future versions can build on it and developers can have a killer product with the quality they expect from Microsoft. Question: What is the profiling API situation in .NET Core? Is it the same as .NET Framework? — There is a profiling API in Core CLR and we know that some existing profiling tools just work in Windows. In particular, we are using dotTrace. The story on Linux and Mac is a little more confusing because those tools don’t work. The CLR team is putting together guidance and tools that will help with this. The current concept is that you would turn on a flag, probably with an environment variable, that will notify your application to emit profiling information that could be taken to a Windows machine and loaded into perfview. There are also some scripts being worked on that will allow your application to trace events on Linux with the perf tool. Question: Are WebForms possible as middleware on ASP.NET Core? Question: How legit is the NodeServices stuff from Steve Sanderson? — Completely legit – the plan is to ship it as a beta in time for the RTM of ASP.NET Core. More information about this topic can be seen in Steve’s presentation on Channel 9. Question: Can you confirm that SQL Azure does not work with ASP.NET Core RC1-Update1? Question: How can I leverage Azure Service Bus Brokered Messages without REST? — The client has not been ported to .NET Core, and they are awaiting the WCF client to be ported. Question: Will there be an Express version of SQL Server on Linux for Dev? — Unknown by the team at this point, but we do know that you can run the preview that was released in a Docker container. That may be your initial dev story. More information will be announced by the SQL Server team as they determine pricing, licensing, and other information around this new release. Question: Will a REPL be available in the new Core toolchain? — It does exist, but its not clear if it will make it to the RTM. At the moment, the team is considering cutting it out in order to complete RTM. Question: Is Kestrel the final name for the webserver or will it be branded? Question: Given the timeframe, are there any surprise announcements for the Build conference? — Nope, everything is open-source. We promised to be transparent about the framework and tools, there are no surprises here. Question: What is the difference between net451 and dnx451 in project.json? Question: Can I host kestrel in a UAP application? Question: Can we add a SignalR refresh for Live.asp.net so that the video appears when broadcasting starts? Question: What is the progress on the WCF client port? Question: Can you share anything about the Xamarin acquisition? Question: Is there a .NET CLI story for scaffolding? — Sayed and the team are working on this, and its out of scope for version 1. Thank you to everyone that tuned in to the live recording and asked questions. The team is always looking forward to hearing for you. Join us on March 15th at 23:45 UTC, 18:45 ET, 15:45PT or just check the timer at http://live.asp.net for exact time in your timezone as well as a reminder that you can add to your calendar.